Zoe, Owen, Jay and I are going to Thailand this coming January. It has been a long time dream of mine to bring my children to Thailand. Thailand holds a special place in my heart. I spent two years there teaching English. I taught children from to ages of 3-8. It was a special time in my life and I want to share the specialness of Thailand with Zoe and Owen. I want them to know how lucky they are and help them realize how much they have. We are so lucky here in North America. We have everything available to us, including opportunity. I believe that bringing my children to Thailand will give them a great experience for life. I hope to impart gratitude for all that they have. We will be spending the majority of our time on Koh Phayam, a small island on the western coast of Thailand. This island is surrounded by the Andamin sea, is breathtakingly beautiful and is the home to a number of Burmese refugee children. These children are stateless and in need of help. We hope to raise $500 for the Phayam Children's Project. Our aim is to buy supplies and whatever else they need. How can you help? You can help by purchasing a CD from The Funky Mamas. You have a choice of 3 CDS at $20/each. Each CD sold will bring $5 towards the Phayam Children's Project. 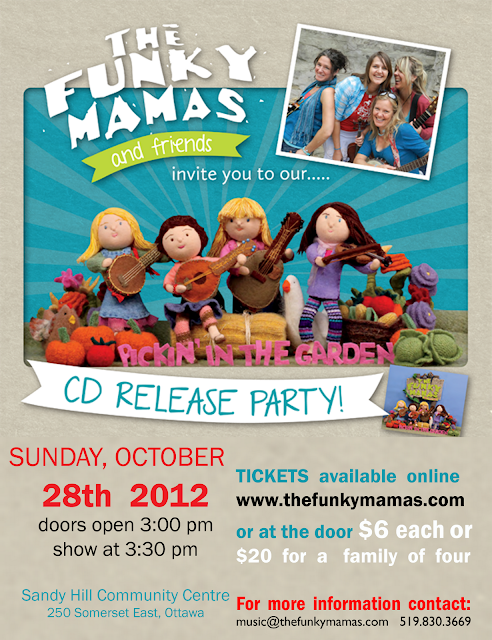 The Funky Mamas is a group of 4 amazing musicians. They live in Guelph Ontario and play down to earth children`s music that make you want to dance. These musicians are truly funky, kind and nice. I am blessed to have them as friends. Thank you for helping us, help children in need. To learn more about these great women click here. Felted Faces- Needle Felting Workshop In this workshop we will learn how to felt awesome realistic faces. Let your needle create a character that will bring out your creativity. Your needle felted face would make a great Christmas Tree decoration for someone you love. You could even make your character look Christmassy with a red hat and a beard for Santa Claus. Cost: $40/ materials, tea and good conversation included. Every %100 cotton bag contains hours of fun for everyone. Your bag of wool contains beautiful wool roving of varying colours, 2 needles and aball felting tutorial. Needle felting a ball is a great beginner project. Once you gain confidence you can felt other creations. With your wool and needle you can get busy felting dolls, food, mushrooms, angels and more. Your imagination is your playground. YouTube and Pinterest are great resources with loads of tutorials. 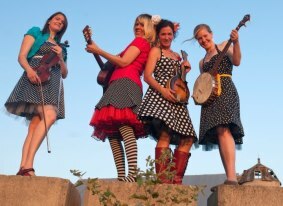 The Funky Mamas are dear friends of mine and are wonderful musicians and women. If you are looking for something to do this weekend check them out. Their new CD is very down to Earth and great for the whole family! You can buy tickets and CD's on line by clicking right here. As always have a rocking good time! As you might know I jet setted to Newfoundland a couple of weeks ago. The trip was awesome. I was there to help Jay at a Coast Guard Auxiliary Conference in Marytown. The Coast Guard Auxiliary is a group of volunteer fisherman and boat owners who dedicate their time to helping people in need of search and rescue out at sea. The conference was for volunteers to learn and train on skills they need while saving lives. It was a beautiful weekend, spent with beautiful people. While in Newfoundland I forgot that I was still on Canadian soil. It is a completely different culture from central Ontario. I imagine it is similar to Ireland with the Irish lilt and even the geography of rolling hills, crashing ocean waves upon rock and friendly people with stories to tell. Below are some little clips of my experience. Sunday morning we had breakfast at Agnes's,a native to Bruin, a small town next to Marytown where the conference was held. For breakfast we ate toast with homemade partridge berry jam, apple bake jam and and plum jam. It was my first time eating partridge berry and apple bake jam which are native to Newfoundland. Apple bake are a delicacy and sell at $7/ pound. They grow on trees which are found in the marshes. In order to harvest you must walk with your bags and boxes as vehicles are prohibited on marsh land. It is not easy to harvest. Later, on a sight seeing tour we found partridge berries clinging to their branches. The plant looked similar to blueberry plants. We harvested some and popped them right into our mouth. The taste was sweet and yummy. During the conference itself I had the experience of learning how to splice rope. I had about 3 fisherman show me the "ropes". It was hard to get the hang of it at first but with perseverance I succeeded. Coast Guard Auxiliary members had to practice getting into a rescue raft after a boat has capsized. A paramedic helicopter demonstrated how they evacuate a patient from a boat. Can you spot the little red guy hanging from the helicopter? he is being sent down from the helicopter by a rope. The landscape was beautiful and once again I was reminded how lucky I am to be able to experience different views of life. Now I am back and more adventures await. This past weekend I started Hatha Teacher training. I am trained as a Kundalini yoga teacher but want to deepen my practice and my teaching. I will say more in my next blog post. There is also more to say like my trip to Thailand this coming winter. This time we are bringing Zoe and Owen and I am excited and cannot wait!Ciao for now! I am off on an adventure. Tomorrow morning at exactly 7am I will be seated on a plane ready for takeoff and heading for Newfoundland. I have never been to this part of Canada and I look forward to explore the far edges of Eastern Canada. From what I hear it is set 50 years back in time which is exactly my kind of place. I hear people are friendly and that the climate is moody. My backpack is filled with rain gear and warm clothes. Apparently there is a constant wind and if we were there in the spring we would be able to see icebergs drift by. Oh! I wish it was spring! 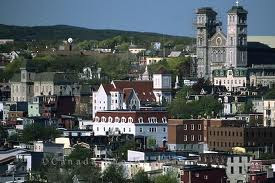 Here's a pic I got off line of St. Marys town where we will be staying. I just love stepping out of my box, going places and feeling alive. Sometimes I wonder who are the faces that read my blog. 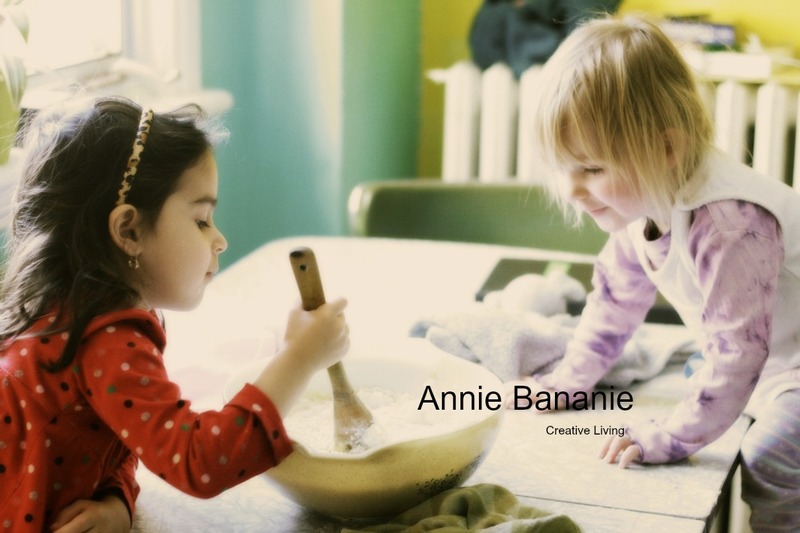 Google stats says that on average 40 people a day check out Annie Bananie and I am always amazed that people even check in! You can find my very first entry here. What ever possessed me to begin writing about my personal life and advertising it on the world wide web? It started with a little encouragement from my sister who also has a blog: The Bou-Lunns. It continued with an inspiration to create things and a medium in which I could tell people about me and what I do. It's helped parents find out about my daycare and what I do. It's helped me find people who like to gather with their community and felt. I have also enjoyed creating headings, pages and learning how blogs link to other blogs and find like minded people in the blogging community. There is a whole cyber world out there and I love using it as a tool to connect with others. Since October is the month of gratitude and we just happen to find ourselves in this very month, I would like to bring gratitude to you my readers. Thank you for checking in. It really makes me smile to see that I can bring something to you, whatever that may be. Gratitude comes in many forms. I feel gratitude for all the families that have come through my door. For the children that I have given birth to and the children that grace me in my daycare family and the children that I see in my everyday life at the store, at the park and walking down the street. Children are beautiful beings that teach us so much about patience, unconditional love, creativity, spontaneity...and on it goes. Sometimes in our parenting frustration comes up and it it not the child imposing that frustration on us but us who is feeling powerless in handling the situation. In this form children teach us to look deep within ourselves, to learn and find our way. For those times of frustration, I am grateful. On our registration form for Cubs we were asked what is your religious affiliation? Well I was born into a Catholic family, had my first communion in grade one, got confirmed in grade 7 and went to church every Sunday. In grade 7/8 I even read the reading. I still remember my cheeks getting beet red as I red at the podium in front of the congregation. Although this was my introduction to God, I have found my own way to God that is different from my parents. Late in high school I stopped going to church and was surprised that my parents did not press me towards attendance. In my early twenties I read the book "Living, Love and Learning" by Leo Buscaglia. This book was the catalyst for the beginning of my spiritual journey. He spoke of love in a way that made me step out of myself and realize that life does not revolve around me. From that book I began to devour books on different spiritual beliefs and concepts. When Zoe turned 1 year old I took Kundalini yoga teacher training and within my practice I found for me a way to feel that space within me that is bigger than life, that is connected to all that is. For me spirituality is living from my heart. Living from my heart signifies acceptance of myself and others, kindness and generosity, respect and forgiveness. Spirituality is that space within me that reminds me that I am but a spec in this universe, that together we create individuals, families, friends, communities, cities, countries, the planet and beyond. So in this month of gratitude I am grateful for my breath which brings me closer to that space of connectedness. For yoga which heightens my body and breath awareness and brings me closer to living from my heart. I am grateful for walks in the woods, swaying trees, a gentle breeze, coloured leaves, rocks and plant life. Do you know what I replied to the religious affiliation question? I replied: "Mother Earth." With the end of summer vacation and the beginning of school, September can be a big transition for many of us. Here at Singing Tree we have had to say goodbye to some friends and greet new ones. The transition has been smooth and wonderful. Children walked in the door as though they had always been part of the family. Of course there has been some crying as parents drop off their loved ones for their days work but that is normal. After a few tears and snuggles all balanced out just fine. Although we have had some new friends we have kept some old rituals like pizza Fridays. We watch the yeast bubble like a volcano, pour flour, oil, salt in our mixture and kneed. Children just love playing with the dough and being part of creating their meal. For our pizza dough recipe and pics from the past click here. I just love looking at old pictures. Don't you? One of the best parts of pizza day is sitting by the glow of candle light to say our prayer and then eat our pizza efforts all up!